This is a best practice guideline NOT a tramline, so please feel free to adopt some, all, or none of the activities listed below. 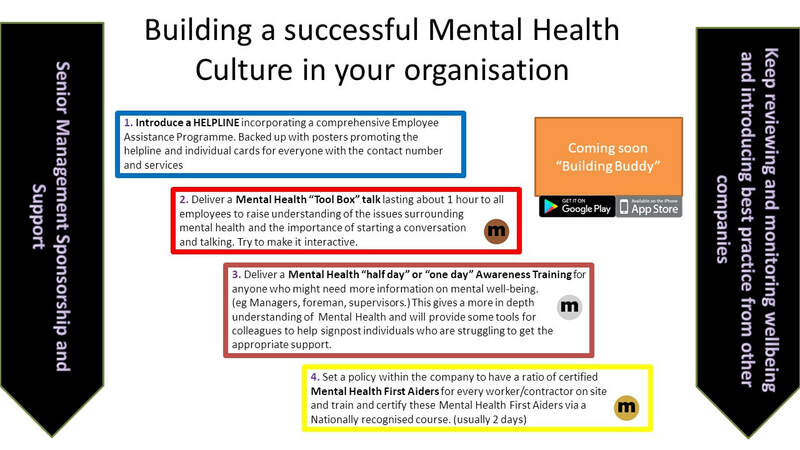 However it is important that you do something to raise awareness of mental health in your business only you can decide what best suits your operation. There are many great ideas in action in our great industry and we do not have all the answers, so if you are doing something that is making a positive impact, please share if you can. 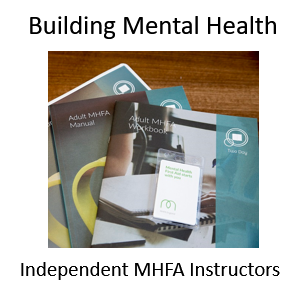 NOTE: We recognise there will be a huge shortage of availability of training to accelerate certifying Mental health First Aiders on site, so we have been working with the CITB who have very generously funded a campaign to educate 150 Mental Health First Aid INSTRUCTORS within construction. Once trained these instructors will be able to speed up the roll out of this initiative. If you are a large company with many on site workers across the country it might be worthwhile investing in your own INSTRUCTOR for more information follow the link ... 7 Days that could change your life. BEST PRACTICE: Once you have your Building Mental Health campaign up and running it is vitally important to keep it "fresh". 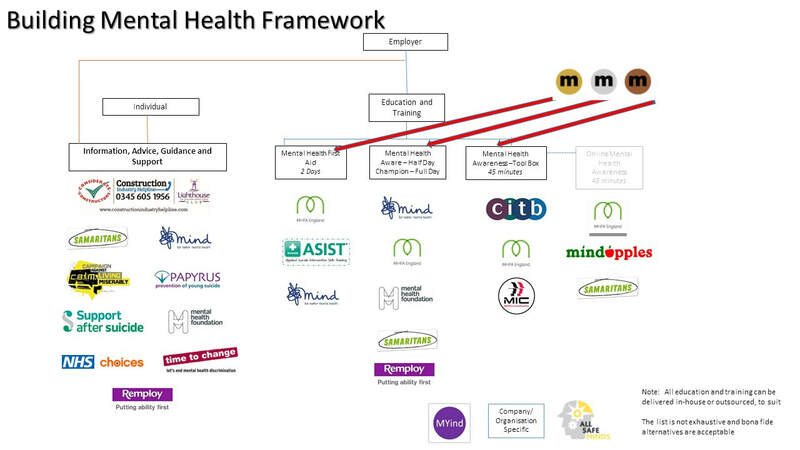 Remember you are not alone in the journey to improve the mental health of our industry and there are many other companies passionate about making a difference. We have linked up with the Considerate Constructors Scheme and they have a dedicated section to put a spotlight on Mental Health. In this section you will find lots of ideas and information on this subject. The contributors are other companies just like you in the construction industry so the content is very practical and easily implemented. You too can contribute to this Best Practice Hub by registering at the Considerate Constructors Scheme. CONSTRUCTION BUDDY: This is a project currently under development. Our intention is to create an APP that is downloadable free of charge to all construction workers in the country. This APP will support those who feel uncomfortable calling a Helpline or talking to somebody on site. They will be able to use this an APP to help build Mental Health, Build Physical Health, Build Financial Health and Build Legal Health. Its a big project and we are looking for funding of about £50,000 to get it off the ground. We will keep you posted on our success.